The findings reveal that this cell layer, called the myoepithelium, is not a stationary barrier to cancer invasion, as scientists previously thought, but an active defense against breast cancer metastasis. New lawsuits allege Juul Labs falsely advertised its e-cig, targeting youth in marketing campaigns and causing widespread nicotine addiction. At this time, at-home genetic tests are not recommended as a health or cancer risk test. It is possible that the technology will improve in the future making the tests more conclusive and comprehensive, but for now, they work well for ancestry and recreational purposes, and not for cancer risk assessment. Becton Dickinson's SurePath preservative fluid is commonly used as a collection medium for Pap tests. The Cobas test is now approved for use as a primary screening test with SurePath and Hologic's ThinPrep PreservCyt Solution, the two liquid media used to collect samples for the vast majority of Pap or HPV tests in the US, Roche said. Samples from the eastern region are taking up to 12 weeks to process by Cambridge University Hospitals. NHS England said it is "working closely" with screening labs to "free up additional capacity". No two AMLs are alike. And understanding the molecular driver of the disease allows one to come up with medicines that are precisely targeting that driver. The 20 percent of AML patients who carry the IDH mutation, either IDH2 or IDH1 are very different biologically than the patients who carry a FLT3 mutation or another different type of mutation. Local hospitals and hematologists in the community might treat this disease, particularly in the elderly, but it’s probably best getting help from somebody that focuses in AML, say, on a daily basis. In this issue, The Cancer Letter presents a case study in AML that examines change as it occurs—focusing on the roles of FDA, The Leukemia & Lymphoma Society, industry, and academic oncologists have played in developing new therapies. Since last April, FDA has approved five agents for the treatment of front-line and relapsed AML, with the most recent of these approvals announced last week. "We found that mice with pancreatic cancer survived nearly three times longer if a constituent of medicinal cannabis was added to their chemotherapy treatment. Cannabidiol is already approved for use in clinics, which means we can quickly go on to test this in human clinical trials." Now, Merck will await final word on an important indication that’ll pad its lead on its immuno-oncology rivals, none of which can boast a first-line lung cancer nod on either side of the pond. KEYTRUDA Combination Improved Overall Survival Compared with Pemetrexed and Platinum Chemotherapy Alone in Pivotal Phase 3 Trial (KEYNOTE-189). Positive Opinion for KEYTRUDA Also Adopted for Previously Treated Recurrent or Metastatic Head and Neck Squamous Cell Carcinoma (KEYNOTE-040). The relationship has already seen some staff movement between the two organizations, with Dana-Farber cancer genomics expert Levi Garraway, M.D., Ph.D., taking over the role of senior vice president of global development and medical affairs for oncology at Lilly in 2016. The FDA approval of AZEDRA was based on data from a pivotal phase 2 open-label, multi-center trial that was conducted under a Special Protocol Assessment (SPA) with the FDA. The final results showed that 17 of the 68 evaluable patients (25%) experienced a 50% or greater reduction of all antihypertensive medication for at least 6 months, achieving the primary endpoint specified in the SPA. Azedra is a new version of the radiopharmaceutical iobenguane I-131. It’s made using a system known as UltraTrace, which results in less non-radioactive iobenguane during enrichment leading to greater delivery of radiation to the tumor. The UltraTrace technology was developed by Molecular Insight Pharmaceuticals, which was acquired by Progenics in early 2013. 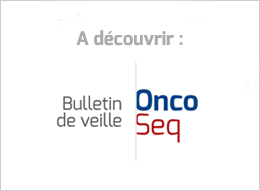 Approval was based on Study IB12B (NCT00874614), an open-label, single-arm, multicenter clinical trial in patients 12 years and older with iobenguane scan-positive, unresectable, locally advanced or metastatic pheochromocytoma or paraganglioma. It’s clear from numerous studies that alternative medicine does not have even a neutral effect on cancer survival; its effect is uniformly negative. This study strongly suggests that even just “integrating” such therapies into science-based oncology could have a pernicious effect on patient survival. Dr. Kristi Funk is a surgeon to the stars in Beverly Hills who operated on Sheryl Crow and Angelina Jolie for breast cancer. This year, she published a book about breast health and breast cancer. Unfortunately, it’s full of misinformation and radical advice with little or no basis in science. As we collected examples for this inaugural post, a pattern quickly emerged: There were lots of news releases that claim some new drug or intervention was shown to work in a study–yet no data whatsoever was provided to back up that claim. But how can research impact be measured? In contrast to measuring numbers of publications and citations, which is easy and can be automated, measuring impact (whatever it might be) is hard. Trish Greenhalgh, professor of primary care in Oxford, has identified 21 different methods but said that they boiled down into three broad categories; economic, methods used by social scientists, and methods used by business schools.